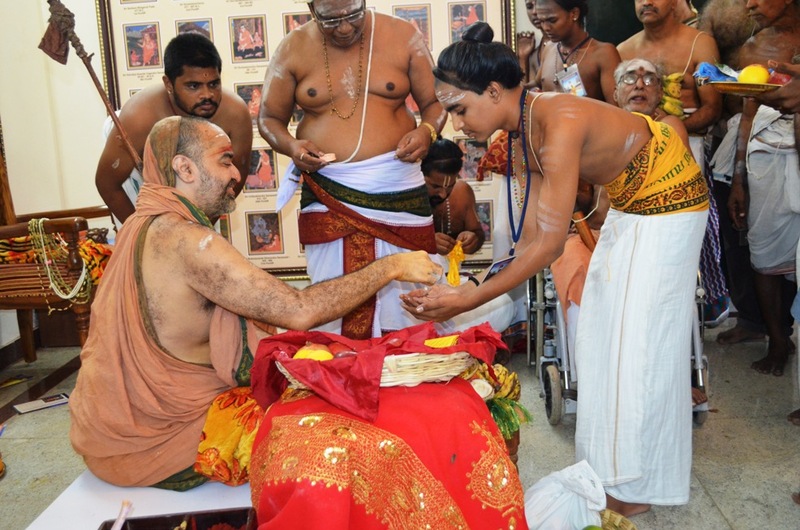 Ten Vidyarthis successfully completed the Siva Agama Choodamani course in traditional Gurukula method under Tiruvidaimarudur Shri Kanappa Shivacharya in Gnanasambandar Illam, Sirkazhi. 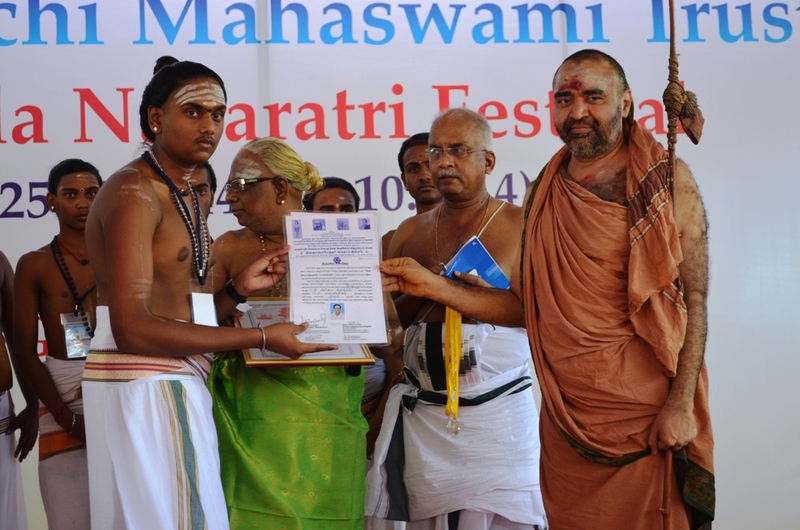 The curriculum which is imparted in about 5-7 years includes Shaivagama, Veda Mantras from Yajusha Mantraratnakara, Sanskrit literature, Thevaram, Discourse & Music. 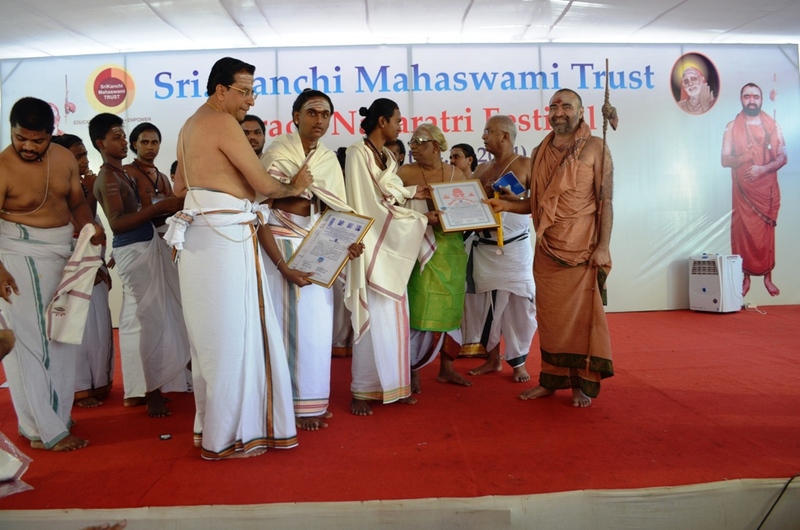 His Holiness blessed the Vidyarthis with Kadukkan (ear rings), silver dollar, certificate, shawl & honorarium. 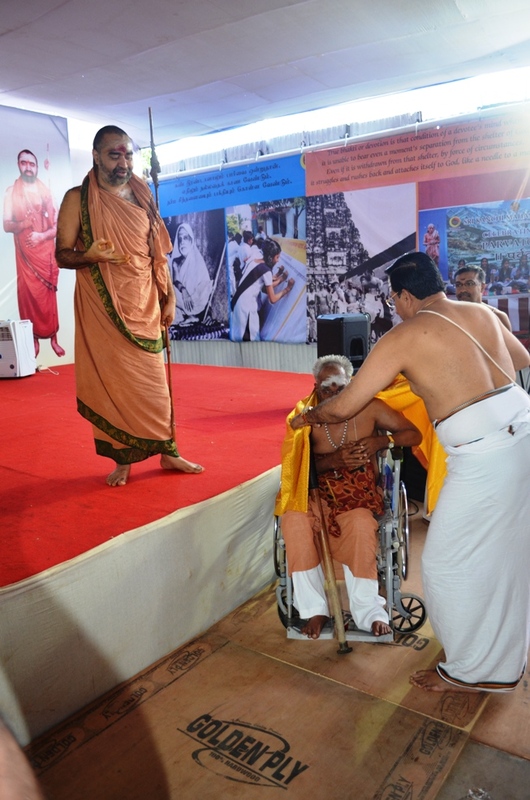 His Holiness gave a short Anugraha Bhashanam and blessed the outgoing Vidyarthis. 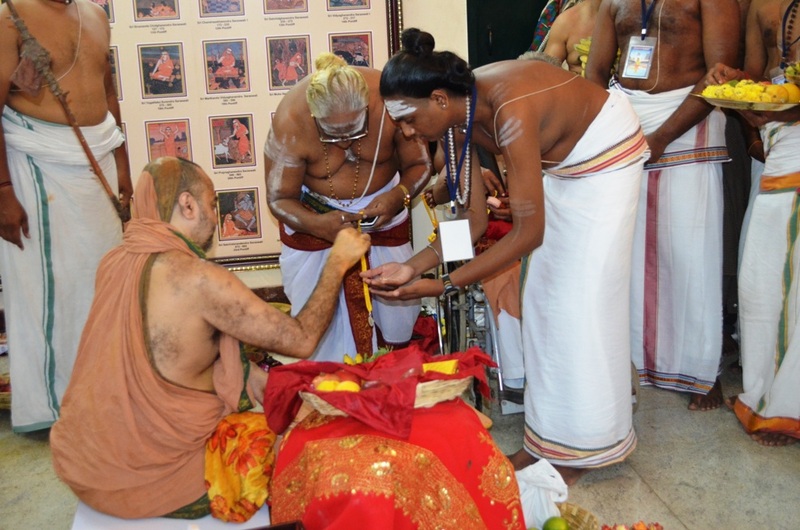 The Vidyarthis belong to traditional Shivacharya family who worship in various temples in Tamilnadu. 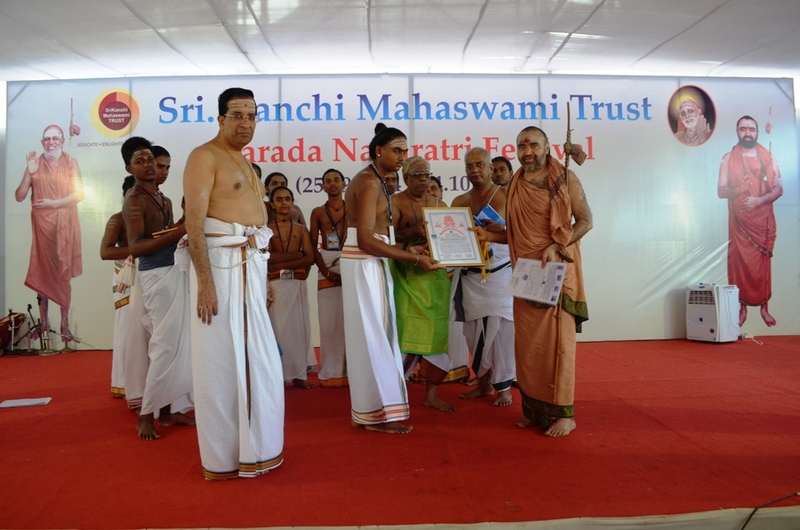 A new batch of Vidyarthis who have joined the pathashala were also blessed. 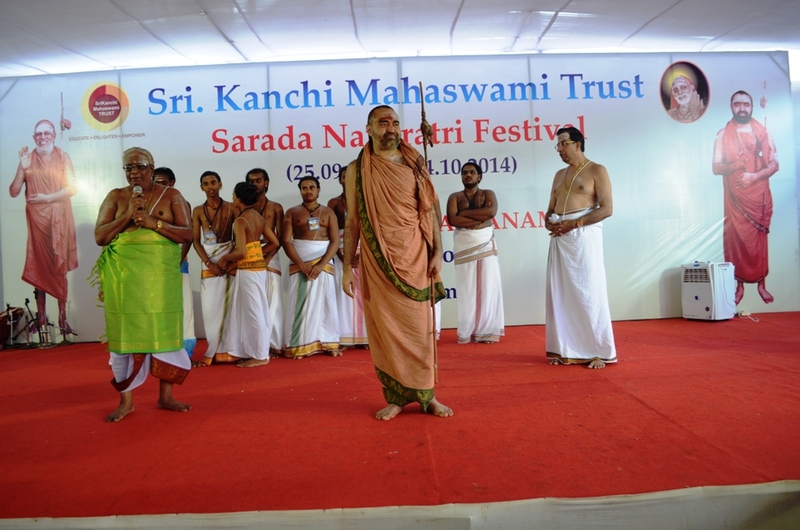 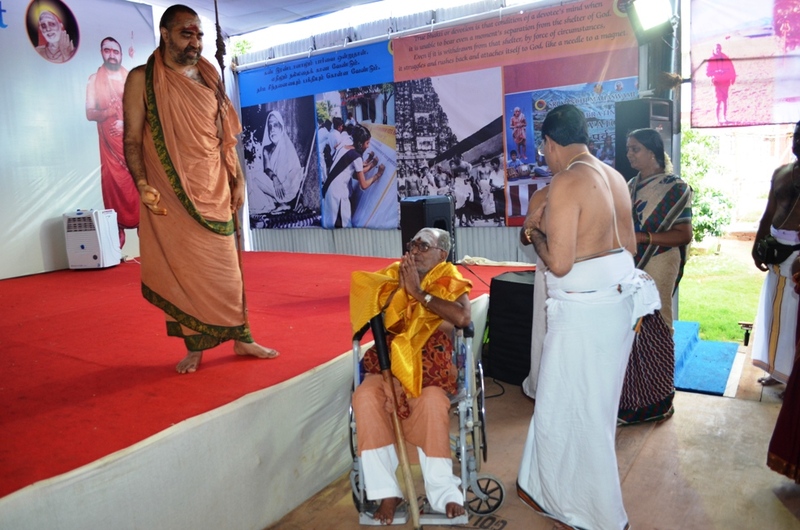 The Adhyapak, Tiruvidaimarudur Shri Kanappa Shivacharya & Dr. Thangudu who manages the pathashala in Sirkazhi, were honoured in the presence of His Holiness.